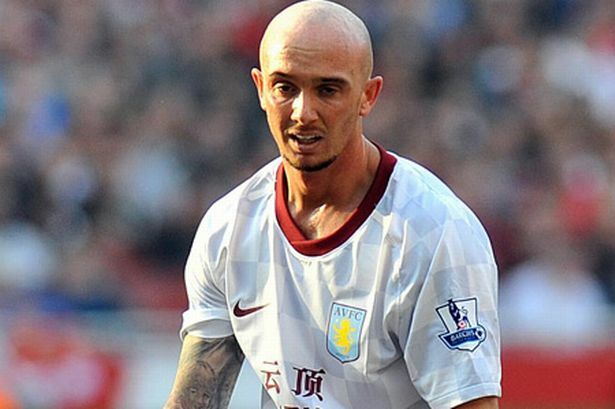 Stephen Ireland has pledged to add a cutting edge to his game with more goals and assists for Aston Villa. Ireland, who was named supporters’ player-of-the-season, has gradually started to win over the Villa Park faithful this term with some encouraging displays after a nightmare first campaign. But the 25-year-old playmaker admits he needs to make a greater impact in the final third in future to add to this season’s tally of one goal and three assists. He hopes a regular run in his preferred role as an advanced central midfielder will help him find the net and set up his team-mates more in his third year at Villa. “Absolutely, but it all falls back to the different positions I’ve been playing,” he said. “I’ve been left wing and right wing, I’ve come from there to being in the hole and it’s just a matter of me getting enough opportunities in the right positions to actually create the chances and score goals. “I felt recently when I was sitting a bit deeper that I hadn’t had chance to get near the goal. “But at the moment it’s about doing everything right for the team and hopefully when I get my chance I can make those passes and make goals.